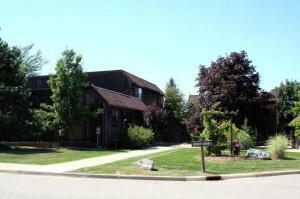 Located on the west side of Ann Arbor, off of Pauline Blvd., Walden Village is a small collection of ranch and townhouse style condominiums. There are currently 0 units listed for sale and so far this year, 3 have sold. $215,000. 2015 Pauline Court, Ann Arbor. 1368 sq. ft., +350 in finished lower level, 2 bedrooms and 1.1 baths. $188,000. 2057 Pauline Court, Ann Arbor. 1672 sq. ft., +700 in finished lower level, 3 bedrooms and 2.2 baths. $163,000. 2105 Pauline Court, Ann Arbor. 1672 square feet with 3 bedrooms and 2.1 baths. Last year at Walden Village, 4 units sold with an average sale price of $187,688 and average price per square foot of $119.00. The 3 units sold this year have an ASP of $187,688 and an A$SF of $122.00, both up slightly. To learn more about Walden Village, contact us, the real estate specialists with The Bouma Group at 734-761-3060 or email info@bouma.com. Start your Ann Arbor Condo search here!